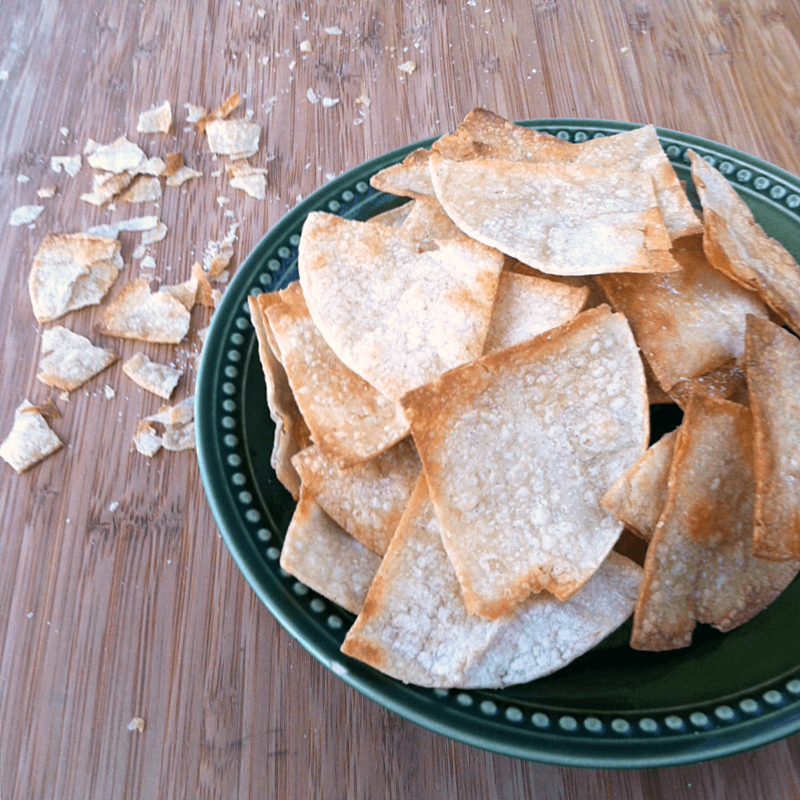 Making my own homemade baked tortilla chips is something I’ve wanted to try for quite some time now. 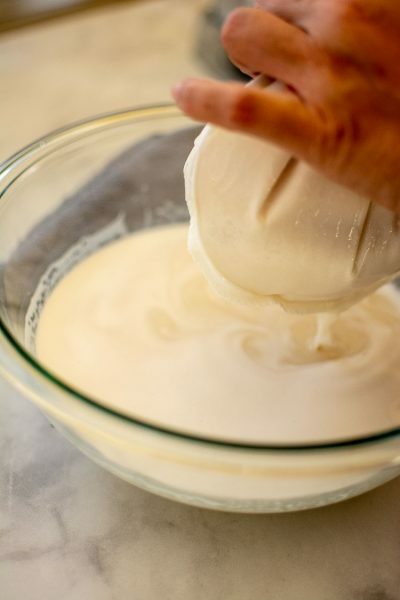 Thanks to a little experimenting in the kitchen, I finally have a quick and tasty recipe to share with you! This recipe makes perfectly crisp, slightly salt and totally tasty baked tortilla chips, so they’re definitely a crowd pleaser. Since these are baked tortilla chips it cuts down on the calories. 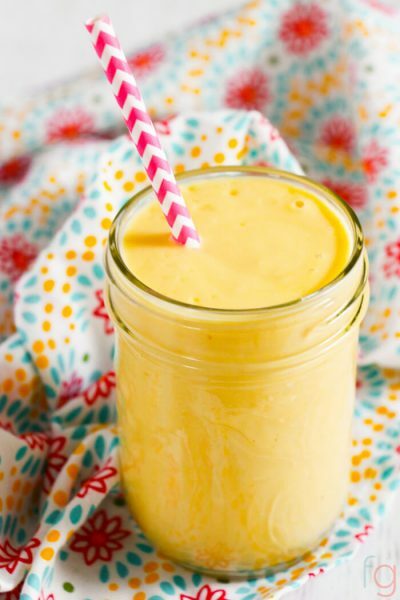 They weigh in at only 159 calories per serving. I can make these in under 20 minutes – and 16 of those minutes are time spent in the oven. So really only 4 minutes of hands-on work. So easy to make these with most of the time spending hands off waiting for them to get done in the oven. Oven baked so very little oil. Flavor with salt, as desired. 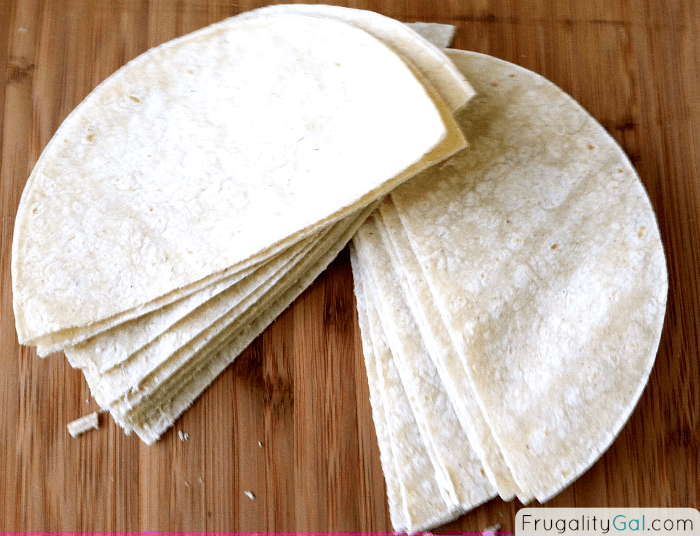 Stack and cut tortillas into quarters. 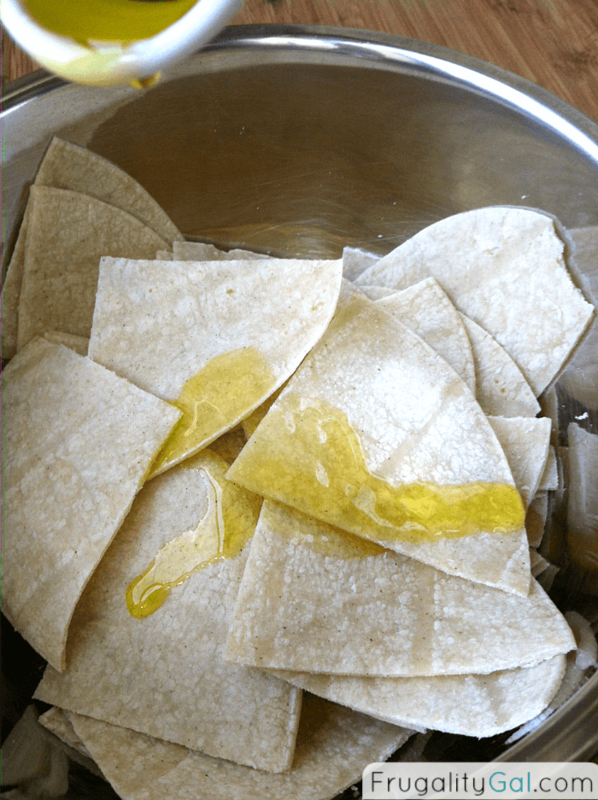 Transfer into a bowl and toss with olive oil until evenly coated. 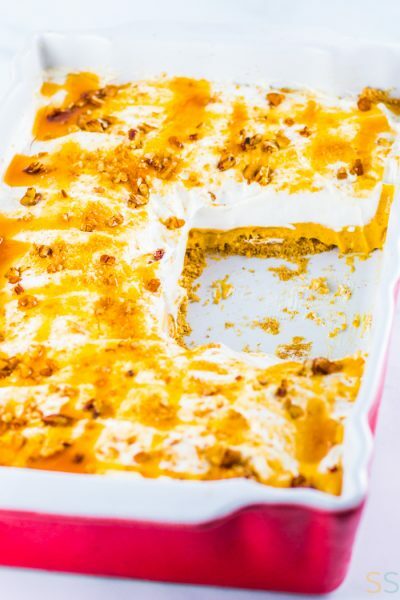 Place in an even layer on two foiled cookie sheets. Bake for 8 minutes. Flip each one over and bake an additional 8 minutes. Remove from oven, sprinkle with salt and let cool before serving. 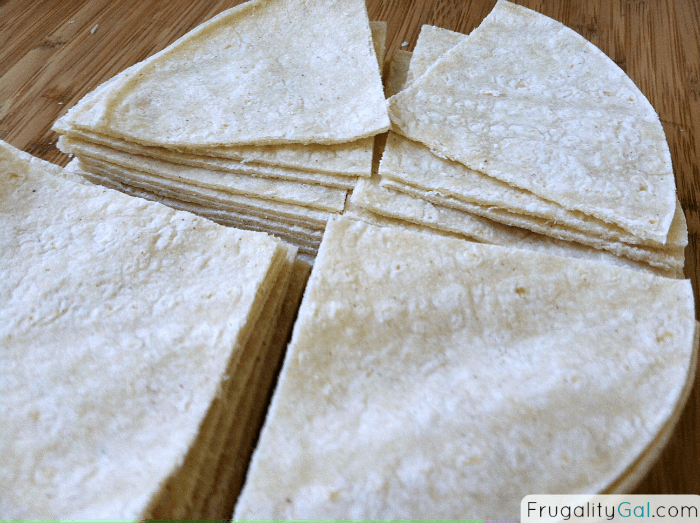 Stack your tortillas and cut them in half. Then cut the halves in half to make quarters. 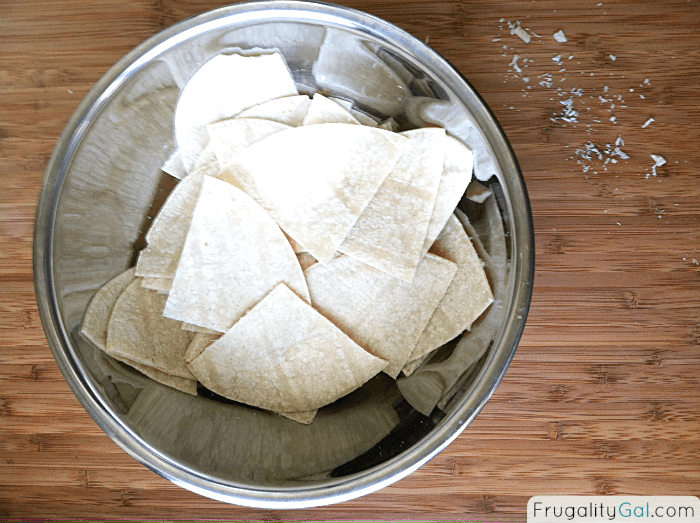 Transfer the quartered tortillas into a bowl. 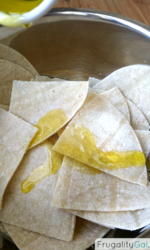 Pour olive oil onto the tortillas and mix thoroughly. Get your hands in there to be sure you have a fairly even, but light, coat on each piece. Transfer over to a foiled cookie sheet and place in an even layer. I used two cookie sheets in order to make sure the pieces weren’t overlapping. Bake for 16 minutes at 350. Flip each piece at the 8 minute mark. Then place them back into the oven for an additional 8 minutes. I only say this so literally because if you count the minute or two that it takes to flip them in your baking time (i.e. if you still have the timer going), they won’t be as crispy as they need to be. 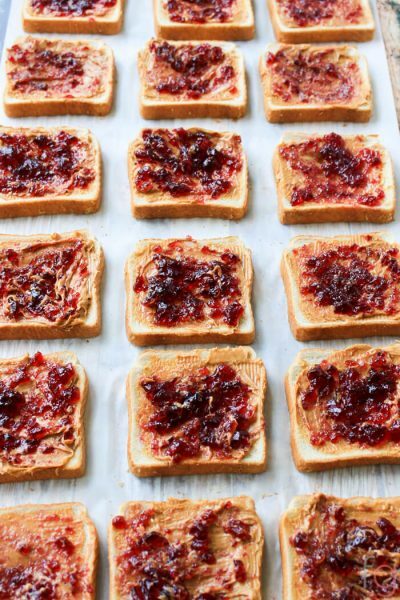 Sprinkle evenly with salt as soon as you take them out of the oven. Let them cool before serving, and enjoy! 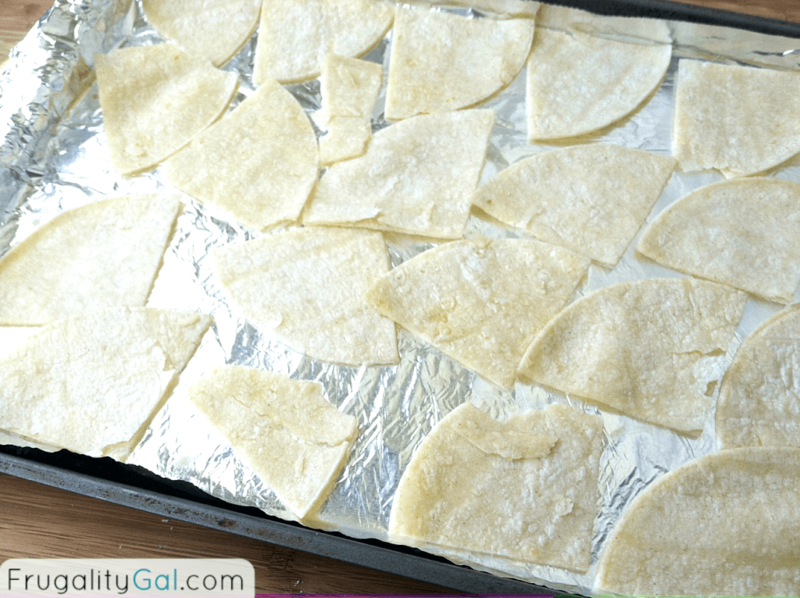 These baked tortilla chips would be perfect as nachos, as a side to a soup or just as a regular chip for dipping. I served them as a side to our black bean soup. 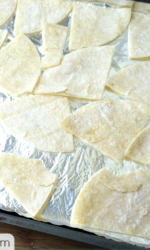 I could’ve chosen to make the tortilla chips smaller, but I like a nice sturdy chip that won’t wimp out and break when holding a fair amount of dip or salsa. And since I know you’re probably wondering, here’s the cost breakdown. This is a great post! Love it! This is so awesome because I keep forgetting to buy tortillas for Mexican night, now I can make these instead! 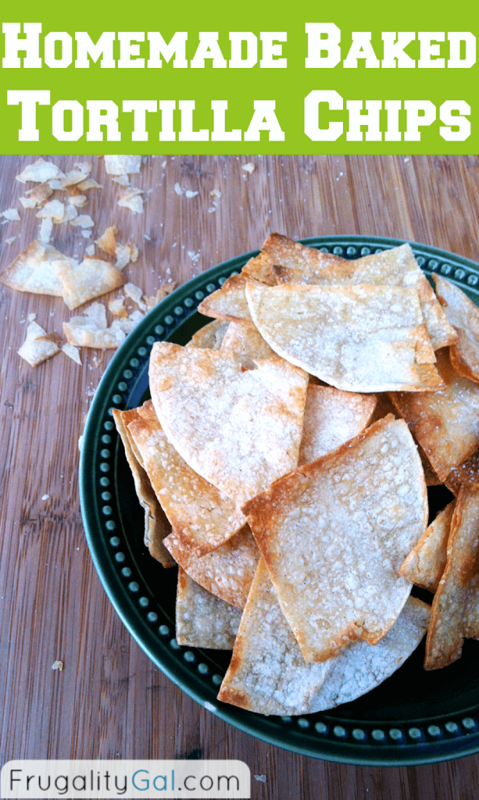 I love tortilla chips and enjoy making them at home. 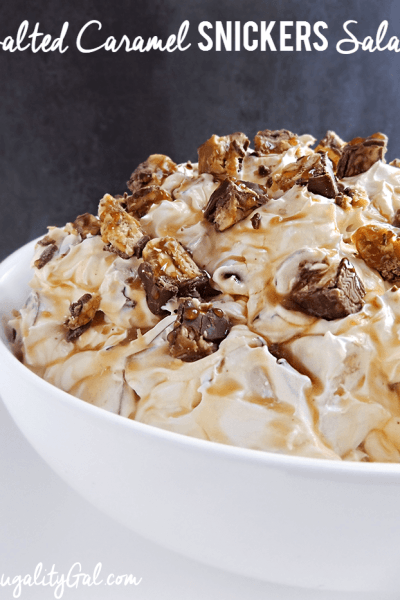 This is a great recipe – never thought about baking them. 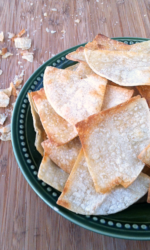 This is a great recipe to use up some of the leftovers corn tortillas I always seem to have! Yum, I bet these are good and taste so fresh! I have some tortillas I need to use up! Just pinned this. These look great! I am going to try these out today! Thanks for sharing!! Anyone know if you can use flour tortillas? 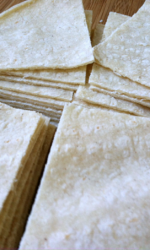 Yes you can use flour tortillas just omit the salt or use very little of it.